Has 2 extra vinyl-only tracks. 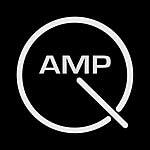 "Any association between the3 group Amp, its origins in Bristol, England and the various bands based in that area ought to be put aside for a moment. 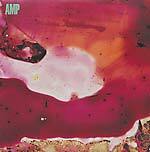 With their second album, Amp have moved beyond any scene identification or family tree into a realm of their own creation. Their initial singles, debut album Sirenes and collaborations with the Third Eye Foundation found Amp moving between delicate piano figures, jungle rhythmic clatter, outer limits drone and cosmic balladry. This new double album on Kranky finds Amp delving into speleological explorations, working within sound caverns that echo with bass and the distant thunder of drums."